Alfred George Deller, CBE (31 May 1912 – 16 July 1979), was an English singer and one of the main figures in popularising the return of the countertenor voice in Renaissance and Baroque music during the 20th century. A countertenor (also contra tenor) is a type of classical male singing voice whose vocal range is equivalent to that of the female contralto or mezzo-soprano voice types, generally extending from around G3 to D5 or E5, although a sopranist (a specific kind of countertenor) may match the soprano's range of around C4 to C6. Countertenors often are baritones or tenors at core, but on rare occasions use this vocal range in performance. Renaissance music is vocal and instrumental music written and performed in Europe during the Renaissance era. Consensus among music historians has been to start the era around 1400, with the end of the medieval era, and to close it around 1600, with the beginning of the Baroque period, therefore commencing the musical Renaissance about a hundred years after the beginning of the Renaissance as it is understood in other disciplines. As in the other arts, the music of the period was significantly influenced by the developments which define the Early Modern period: the rise of humanistic thought; the recovery of the literary and artistic heritage of Ancient Greece and Ancient Rome; increased innovation and discovery; the growth of commercial enterprises; the rise of a bourgeois class; and the Protestant Reformation. From this changing society emerged a common, unifying musical language, in particular, the polyphonic style of the Franco-Flemish school, whose greatest master was Josquin des Prez. He is sometimes referred to as the "godfather of the countertenor". His style in singing lute song, with extensive use of rubato and extemporised ornamentation, was seen as radical and controversial in his day but is now considered the norm. The term Lute song is given to a music style from the late 16th century to early 17th century, late Renaissance to early Baroque, that was predominantly in England and France. Lute songs were generally in strophic form or verse repeating with a homophonic texture. The composition was written for a solo voice with an accompaniment, usually the Lute. It was not uncommon for other forms of accompaniments such as; bass viol, or other string instruments and could also be written for more voices. The composition could be performed either solo or with a small group of instruments. The basic style of lute songs are light and serious, with poetic lyrics that usually followed word-setting to composed music. In England, the songs tended to range from extended contrapuntal compositions to short harmonized tunes. The text could be written by the composer or most often borrowed from a poem, set in verse form.These songs were composed for professional and amateur performers, which had variations for solo and ensemble. The lute song was popular among the Royalty and nobility. King Louis XIII was believed to be fond of the simple songs, which led to a volume of work during his reign. 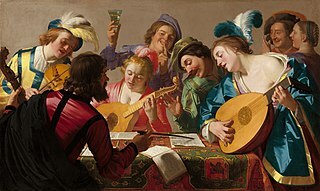 Composers of the lute song usually composed other forms of music as well such as; madrigals, chansons, and consort songs. The consort song, popular in England, is considered to be closely related to the lute song. This was an earlier strophic form of music that was for a solo voice accompanied by a small group of string instruments. In France, the chanson, is a precursor to the lute song or air de cour. Collections of “air de cour” were used in other countries, besides England and France. Collections of the French airs were published in England, Germany and Holland. Italy had forms of song that were much like the lute song, such as monody and the frottola, but the lute song seemed more prominent in England and France. Deller was an influential figure in the renaissance of early music: an early proponent of "original instrument performance" and one of the first to bring this form to the popular consciousness through his broadcasts on the BBC. He also founded the Stour Music Festival in 1962,  one of the first and most important early music festivals in the world. The Stour Music Festival is a festival of early music held in the Stour valley, Kent, England. It was founded by the countertenor Alfred Deller in 1962. The principal venue is a medieval church, All Saints' Church, Boughton Aluph. 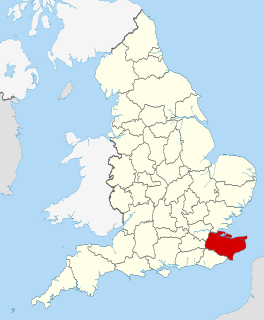 Deller was born in Margate, a seaside resort in Kent. As a boy, he sang in his local church choir. When his voice broke, he continued singing in his high register, eventually settling as a countertenor. Deller was initially employed as a lay clerk at Canterbury Cathedral from 1940 to 1947, before joining the choir of St. Paul's Cathedral (1947–62). A lay clerk, also known as a lay vicar, song man or a vicar choral, is a professional adult singer in an Anglican cathedral and often Roman Catholic Cathedrals in the UK, or (occasionally) collegiate choir in Britain and Ireland. The vicars choral were substitutes for the canons. They are not in holy orders; the term "vicar" is derived from the Latin adjective vicarius ("substituted") and in this context simply means a deputy. The majority of lay clerks are male; however, female altos are nowadays becoming increasingly common. Sir Michael Kemp Tippett was an English composer who rose to prominence during and immediately after the Second World War. In his lifetime he was sometimes ranked with his contemporary Benjamin Britten as one of the leading British composers of the 20th century. Among his best-known works are the oratorio A Child of Our Time, the orchestral Fantasia Concertante on a Theme of Corelli, and the opera The Midsummer Marriage. 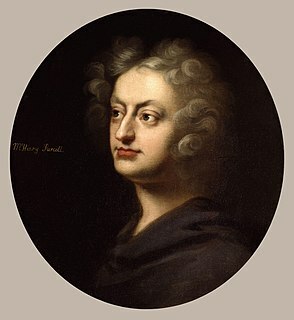 Henry Purcell was an English composer. Although incorporating Italian and French stylistic elements into his compositions, Purcell's legacy was a uniquely English form of Baroque music. He is generally considered to be one of the greatest English composers; no later native-born English composer approached his fame until Edward Elgar, Ralph Vaughan Williams, William Walton and Benjamin Britten in the 20th century. Michael Chance CBE is an English countertenor and the founder and Artistic Director of The Grange Festival. In 1948, Deller formed the ''Deller Consort'',  a group dedicated to historically informed performance. The group recorded music from as early as the 13th century and significantly expanded popular notions of the Baroque repertoire, producing high-quality authentic period performances of the works of Bach, Handel, Purcell, Dowland, and even folk songs. In 1960, Deller sang the role of Oberon in the first production of Benjamin Britten's opera A Midsummer Night's Dream . Britten wrote this role with Deller specifically in mind, although he was dropped from staged revivals of the work against the composer's wishes, largely because of poor acting technique. The smallness of his voice was also a negative factor in the casting process at Covent Garden. He did record the opera, with the composer conducting in 1967. The 1960 premiere, broadcast by the BBC, is now commercially available and finds Deller in fresher voice; Myfawny Piper described his singing of Oberon as "unearthly". Lutenist Desmond Dupré performed with him, initially as a guitarist; other accompanists included harpsichordist and musicologist Walter Bergmann. In later years, he worked with lutenist Robert Spencer and harpsichordists Harold Lester and William Christie. His recordings include the lute songs of Dowland, operas by Handel, Britten's A Midsummer Night's Dream, songs and semioperas by Purcell (such as The Fairy Queen ), traditional English folk songs, works by Thomas Tallis, and the Bach alto repertoire. He recorded for HMV, Vanguard Classics, and Harmonia Mundi. On 16 July 1979, Deller died whilst working in Bologna, Italy after a heart attack. Deller and his wife are buried in the churchyard of All Saints' Church, Boughton Aluph, Kent. Deller married Kathleen Margaret ('Peggy') Lowe (1913–2006) in 1937. They had three children; the eldest, Mark Deller, became an accomplished singer in his own right and frequently performed with his father, for example on the 1972 album Folksongs . Another son, Simon, trained as a music teacher during the 1960s and taught at Guildford Cathedral choir school, eventually becoming its headmaster. Deller was a Commander of the Order of the British Empire . In Canterbury Cathedral, a tablet in the south quire aisle commemorates Deller and his work. On 31 May 2012, All Saints' Church, Boughton Aluph held a concert to celebrate Deller's 100th birthday. There was also an exhibition of paintings and drawings by John Ward, who illustrated many of the early programmes for the music festival. After the concert, the countertenor James Bowman planted a tree in memory of Deller in the churchyard where he is buried. Deller made at least 136 recordings from 1949 to his death in 1979. His first were for HMV - His Master's Voice Recordings 1949-1954. Then followed 13 years with Vanguard Records 1954-1967, under the labels The Bach Guild in Europe and Amadeo in the US. Then following a concert in Avignon in 1967 where Deller met Bernard Coutaz, founder of Harmonia Mundi France, spent his remaining years with the French label. 1 2 3 4 5 6 7 8 Chrissie Daniels (22 June 2012). "Stour Music Festival celebrates Alfred Deller's 100th birthday". KOS Media. Archived from the original on 4 March 2016. Retrieved 8 July 2012. ↑ Michael Chance interviewed in a documentary entitled 'Countertenors,' originally shown on The South Bank Show . ↑ "Alfred Deller" . Retrieved 18 August 2013. ↑ Boston Herald, 3 November 1972, David Noble, "16th century music approachable"
↑ "Purcell Odes". Gramophone. Retrieved 2017-11-20. Dame Carolyn Emma Kirkby, is an English soprano and one of the world's most renowned early music specialists. She has sung on over 100 recordings. Fretwork is a consort of viols based in England, United Kingdom. Formed in 1986, the group initially consisted of six players, while it is currently five viols. Its repertoire consists primarily of music of the Renaissance period, in particular that of Elizabethan and Jacobean England, arrangements of the music of Johann Sebastian Bach, and contemporary music written for them. Andreas Scholl is a German countertenor, a male classical singer in the alto vocal range, specialising in Baroque music. James Thomas Bowman CBE is an English countertenor. His career spans opera, oratorio, contemporary music and solo recitals. In 2010 it was announced that he would give his last London concert in 2011 at the Wigmore Hall, although he would continue to give recitals outside the capital. A few years previously he retired from the Chapel Royal, St. James's Palace in London, after a decade of service. Paul Laurence Vincent Esswood is an English countertenor and conductor. He is best known for his performance of Bach cantatas and the operas of Handel and Monteverdi. Along with his countrymen Alfred Deller and James Bowman, he led the revival of countertenor singing in modern times. Russell Keys Oberlin was an American singer and founding member of the New York Pro Musica Antiqua ensemble who became the first, and for years the only, countertenor in the United States to attain general recognition—in The New Yorker's words, "America's first star countertenor." A pioneering figure in the early music revival in the 1950s and 1960s, Oberlin sang on both sides of the Atlantic, and brought a "full, warm, vibrato-rich tone" to his recitals, recordings, and his performances in works ranging from the thirteenth-century liturgical drama The Play of Daniel to the twentieth-century opera A Midsummer Night's Dream. The Fairy-Queen is a masque or semi-opera by Henry Purcell; a "Restoration spectacular". The libretto is an anonymous adaptation of William Shakespeare's wedding comedy A Midsummer Night's Dream. First performed in 1692, The Fairy-Queen was composed three years before Purcell's death at the age of 35. Following his death, the score was lost and only rediscovered early in the twentieth century. Daniel Taylor is a Canadian countertenor and early music specialist. "Flow, my tears" is a lute song by the accomplished lutenist and composer John Dowland (1563–1626). Originally composed as an instrumental under the name "Lachrimae pavane" in 1596, it is Dowland's most famous ayre, and became his signature song, literally as well as metaphorically: he would occasionally sign his name "Jo. Dolandi de Lachrimae". Mark Deller is an English countertenor and conductor. He is the son of the first modern countertenor, Alfred Deller. Robin Blaze is an English countertenor. Nigel North is an English lutenist, musicologist, and pedagogue. John Joseph Elwes, is an English tenor singer. Derek Lee Ragin is an American countertenor. Charles Daniels is an English tenor, particularly noted for his performances of baroque music. He is a frequent soloist with The King's Consort, and has made over 25 recordings with the ensemble on the Hyperion label. Gerald English was an English tenor. He performed operatic and concert repertoire, was a recording artist, and has been an academic. Grayston Burgess is an English countertenor and conductor. Jakob Lindberg is a Swedish lutenist, performing solo, in small and large ensembles, and also directing operas, using instruments of the lute and guitar families. He is known for the first ever recording of the Complete Solo Lute Music of John Dowland as well as for recording music never before recorded, with repertoire dating back to the Renaissance period. Caroline Trevor is an English contralto, focused on early music and Baroque music in historically informed performance. She has been one of two alto voices in the award-winning ensemble The Tallis Scholars since 1982. J.B. Steane: "Deller, Alfred," Grove Music Online ed L. Macy (Accessed 6 February 2007), grovemusic.com, subscription access. Peter Giles and J.B. Steane: "Countertenor," Grove Music Online , ed. L. Macy (accessed 6 February 2007), grovemusic.com (subscription access).